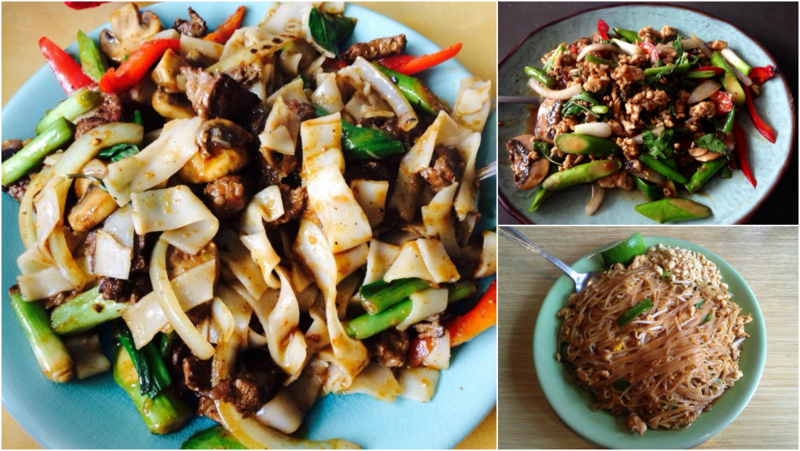 Serving Houston’s favorite Thai cuisine since 1985, Nit Noi Cafe brings the flavor, serving up classic Thai dishes you’ve come to know and love. "Make sure to save room for dessert!" "We saw this quote and it reminded us of all of you." "Caution: This may cause intense cravings." "“First we eat, then we do everything else.” -M.F.K. Fisher"
"When we go to sleep, this is what we dream about." Nit Not cafe was like a boon to me when I was in Houston, I am a vegetarian, I could get vegetable Tofu rice which was excellent, the service was superb. I would recommend this hotel to every one who visit Houston. It's All Good Here ! For starters try the spring rolls and the peanut sauce. Get ready for your new favorite place to eat !! This is it!!! Yes, I'd like to receive news from Nit Noi Cafe. Sign up for the Nit Noi Cafe Newsletter!